We Cover all towns in Essex! Our Brentwood loft conversion team can provide you with a detailed quotation, stating all work to be completed. We understand that the process of finding builders can be a daunting task. This is why we only quote a fixed price, to ensure you are in control of your budget. Our highly organised team can build your dream home, stress and hassle free. Our dedicated project manager will take care of the entire building process. We can also provide guidance regarding the design stage such as hiring an architect. It is amazing how much additional space a loft conversion offers, customers are always pleasantly surprised by the results. 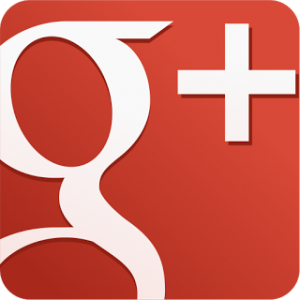 Having years’ experience in the building trade, every loft conversion is thoroughly planned. All loft conversions are constructed to the latest planning and building regulations. Only qualified tradesmen are employed. All work carried out is fully covered by our business insurance. Our team are friendly, with a caring attitude for towards you and your neighbours. And will carefully plan to ensure minimal disruption to you and your neighbours daily routine. Loft conversions turn unused spaces into beautiful rooms. They add a substantial value to your home. In general, loft conversions can be cheaper than an extension or moving home. A loft conversion can add character to your home, especially if you have features like a cabrio velux balcony. Our team of trusted tradesman can plan your loft conversion. Expect smooth planning throughout your loft conversion. We ensure minimal disruption to your routine. 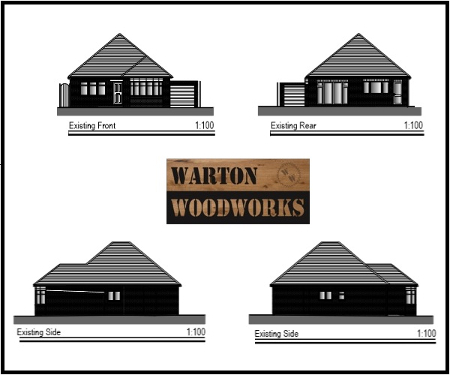 Warton Woodworks only use quality materials. All employees are taught safe working practices. 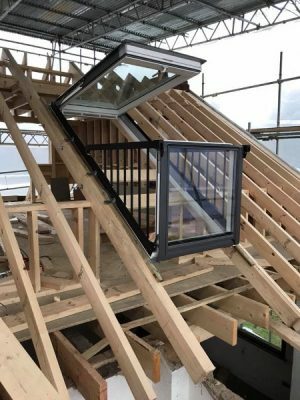 Any type of loft conversion can be installed such as dorma’s, velux’s, mansard’s and hip to gables. Our professional contractors can help you design your loft. We can also suggest various types of loft conversion ideas. This customer needed more space in their three bedroom detached bungalow (See Fig 1 below). The property’s peak loft height was approximately 3m high, making it the ideal space to convert into usable space. 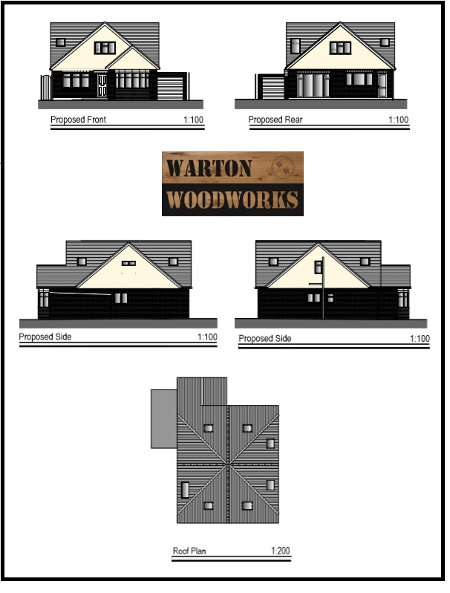 Fig 2 shows a drawing of the proposed hip to gable loft conversion. The new loft space offers three additional bedrooms, an en-suite and main bathroom (Fig 3). Click this article to see this images of this project from start to finish. Fig 3. 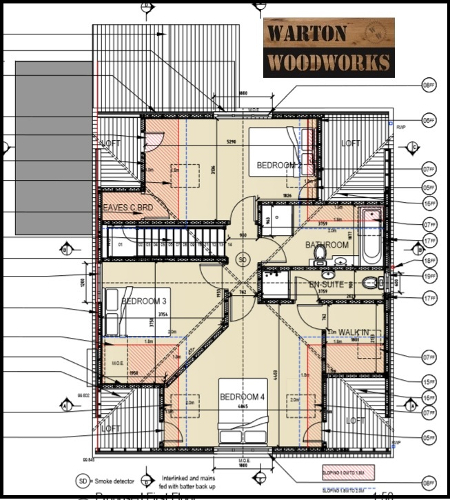 Upstairs floor plan of bungalow conversion in Fig 2. 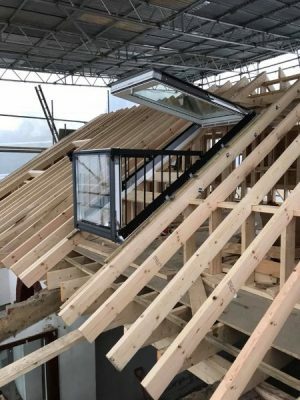 Below is an Essex loft conversion that utilises a cabrio velux balcony. These balconies can open in seconds, flooding your new loft space with sunlight. Want a loft conversion quote? Then please contact us. We will then arrange an appointment to meet you, and then discuss your needs. We will then provide you with a detailed plan and quote for the job. Our Brentwood loft conversion team cover all towns in Essex.